The Rubik’s Cube has been an iconic toy and puzzle game across the world, creating a cultural sensation in the 1980s and being played with to this day. This year marks the 40th anniversary of the classic toy, and to celebrate the occasion, a brand-new exhibit will open up at the Liberty Science Center in Jersey City, New Jersey, titled “Beyond Rubik’s Cube”! 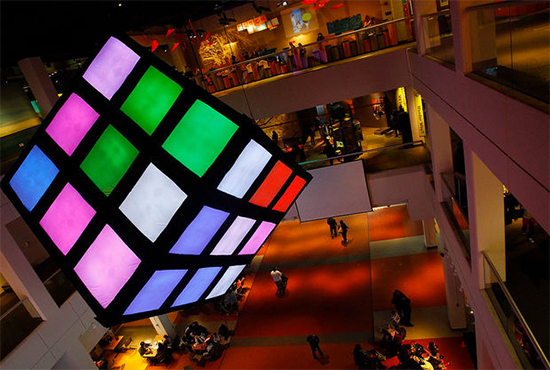 The exhibit, which is the product of a partnership with Google and Ernő Rubik, the original creator of the Rubik’s Cube, will span over 7,000 square feet, and feature a huge variety of Rubik’s Cube variations and installations, alongside educational tours and the history behind the world’s most popular puzzle toy. 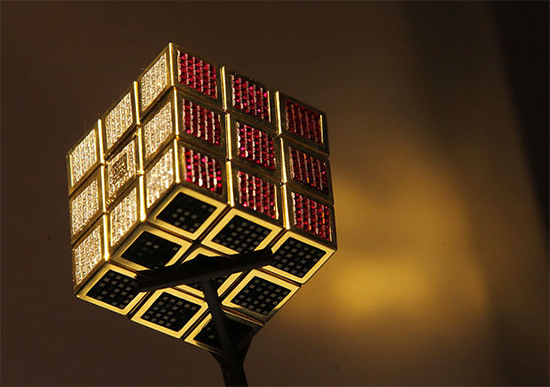 These include a car-sized hollow Cube for visitors to enter, cubes that create music with every rotation, and even featuring the most expensive Cube and toy in the world, an 18-karat-gold and jewel-encrusted working Cube valued at $2.5 million! The exhibit opens this Saturday to visitors and fans alike, and will remain open until November. The fun won’t stop there, though, as the exhibit will then travel across the globe over the next seven years! Rubik’s Cube is a 3D puzzle toy invented in 1974 by Hungarian professor Ernő Rubik, who originally called the toy the Magic Cube. Created as a scientific tool, the Rubik’s Cube was released internationally in 1980, and immediately became a cultural sensation, selling over 350 million cubes since and becoming the world’s best-selling puzzle game and toy. The classic cube is compromised of six faces, with six different sticker colors, with an internal pivot mechanism that allows the different faces to be turned independently. The Cube, reaching the height of its popularity in the 1980s, has since spawned a variety of tournaments, clubs, and variations on the classic design.